Classic-Castle.com • View topic - 2 Years on Classic-Castle!! Well yesterday was officially the 2-year anniversary of me joining the Classic-Castle.com Forums, and community. Over these past two years I have enjoyed viewing all the wonderful builds from many of the great castle builders in the online LEGO community, as well as showing off some of my own castle-themed MOCs. 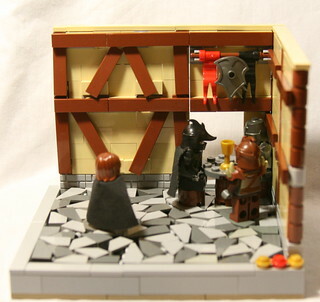 One other aspect of these forums that drew me here, is the (Classic-Castle) communities' love of Castle-themed LEGO custom minifigures and accessories. 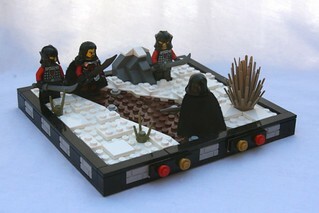 Since first joining this forum, I have created nearly 100 different designs for custom fabric accessories, and ultimately creating a BrickLink Store and company called Royal Brick Customs Shop, which allows me to offer my designs to other members of the LEGO castle community. 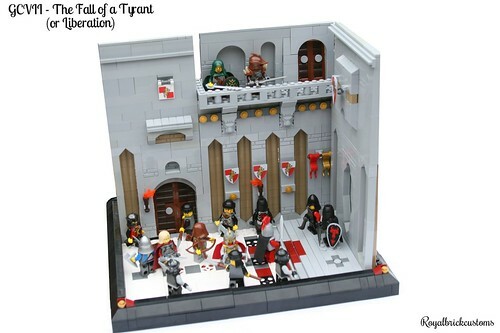 Thanks for all of your support over the last two years, and I hope to share my passion of LEGO and Castles with this great community (of Classic-Castle.com) for many more years to come! * Just a little side note, my real name is Brandon! Re: 2 Years on Classic-Castle!! Congratulations man! You have always been very friendly. I actually have been thinking about buying some capes from you, we'll see. Many congratulations, buddy! You were one of the first people I 'met' here, and you've always been very kind and helpful. Keep building! Congratulations on two year here, and I'm glad you're planning to stay active for many more.